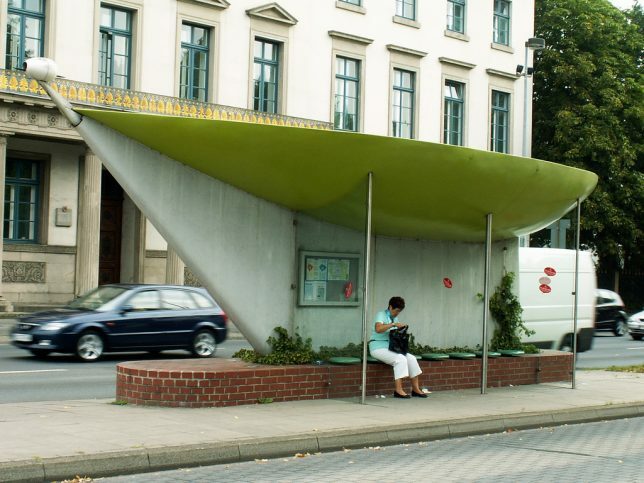 These 15 bus shelters from Germany express a distinctive design aesthetic that reflects the tension between stolid practicality and startling creativity. These two bus shelters face each other from opposite sides of the main road running through Durrnhof, Bavaria. Captured by Flickr member pilot_micha in June of 2009, the bus shelters were constructed with stereotypical teutonic utility in mind. 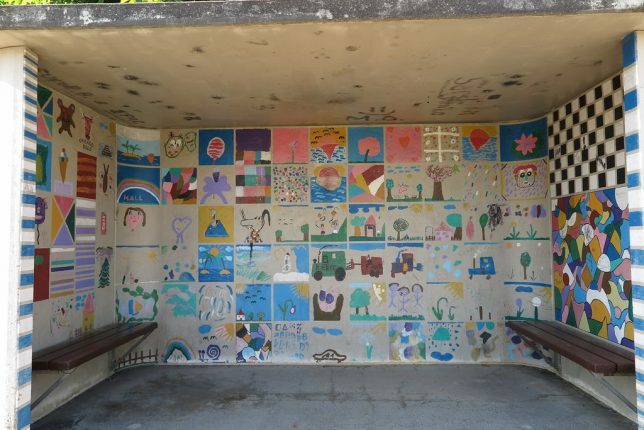 At some later date, however, their interior walls were whimsically painted, likely by local schoolchildren as an urban beautification project. 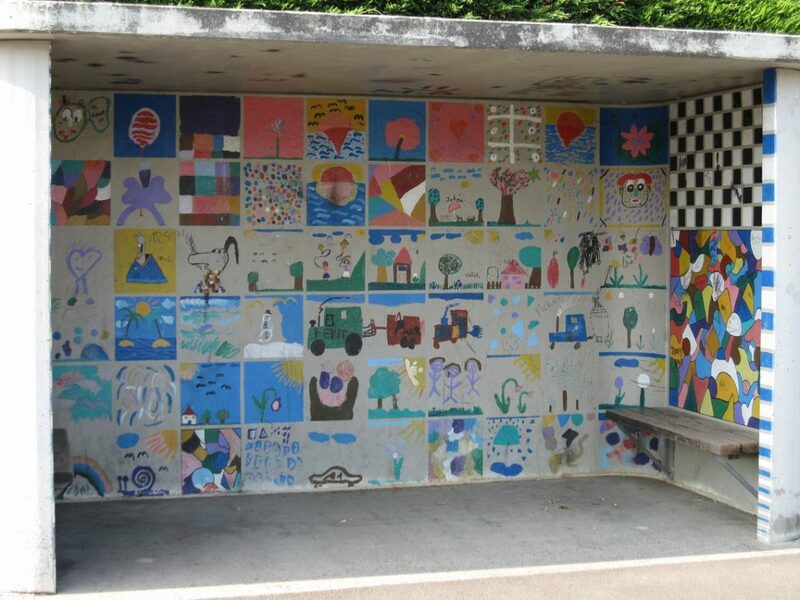 The most interesting bus shelter in the world? Well, maybe in Hanover, the capital city of Lower Saxony and a town famed for its annual commercial fairs. The half-million-strong city also hosted Expo 2000, one of the last and largest world fairs. The bus shelter above is situated in the Königsworther Platz and was photographed by Flickr member jaime.silva in June of 2009. Viewed from both sides, this curiously boat-shaped bus shelter can be found in Hanover’s Rathaus/Friederichswall district. Flickr member jaime.silva snapped the scene in August of 2009. 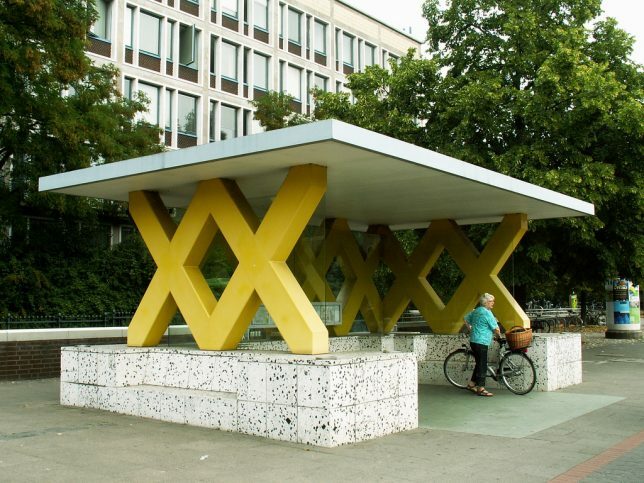 “In 1994,” according to Flickr member Tim Boric, “nine tram and bus stops in Hannover were redesigned in totally different ways by international artists,” including this one credited to Italian designer Massimo Iosa Ghini. We’d “keel” to have one of these kool kreative bus stops in our neighborhood! 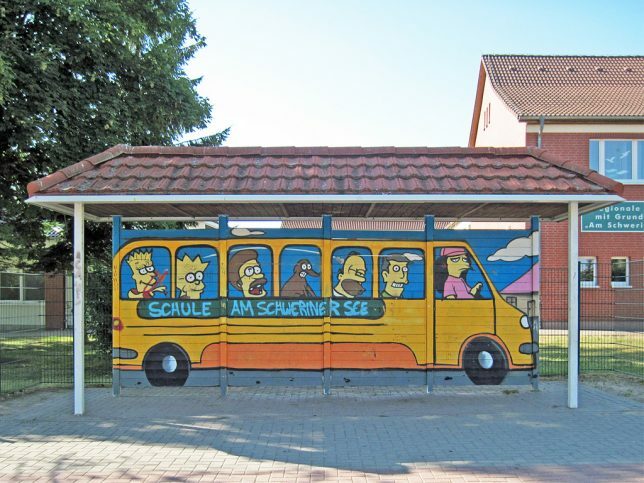 Students at the regional school in Bad Kleinen, near Hamburg, enjoy waiting for their ride home at this shamelessly Simpsons-esque bus shelter. Neither faux-Otto nor his 2D passengers seem particularly pleased… Matt Groening might sport a similar grimace should he ever see this. Kudos to Flickr member Patrick, who captured the less-than-flattering homage in July of 2013. 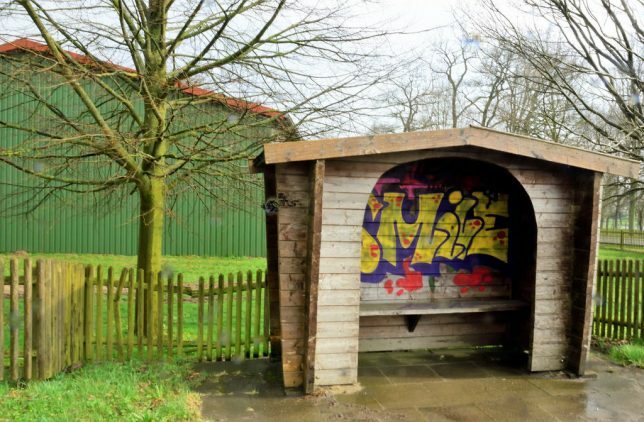 This charming little bus shelter perfectly complements the peaceful, pastoral landscape of the Agricultural Region south of Hamburg. 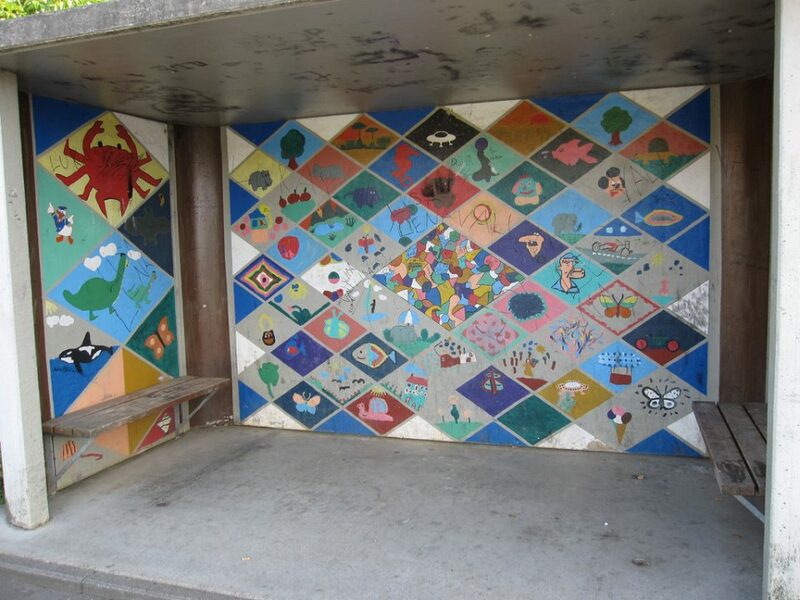 The same can be said for the anonymous work of cheerful, colorful graffiti art on the shelter’s inside back wall. Flickr member Csaba Lehel (infodog) captured the rainy day scene in mid-April of 2018.